You can add new creatures - bandits. Fighting with them and killing them, you manage to get gold coins. 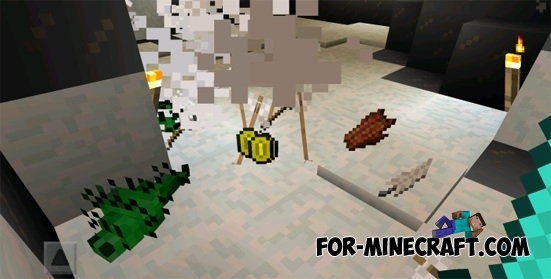 They can then be used to obtain iron, gold ingots and also a diamond! First of all, make the structure of one block of lapis lazuli and stone brick block. Currently, there are ten kinds of bandits! They all have their own different abilities. Now you can kill the mobs, it will give you a drop (gold coins, which you can recycle in ingots or precious stone).